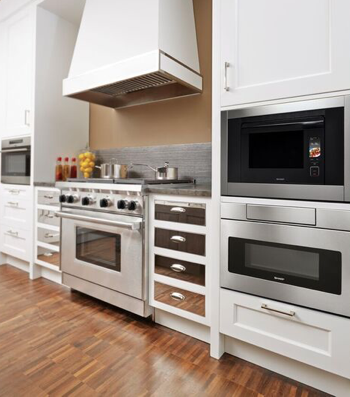 You know that we at Sharp love discovering new and fun kitchen trends. Whether it be walking around at the Architectural Digest Design show, scrolling through Pinterest or watching HGTV, we find that there are so many ways to discover new kitchen trends that we can easily incorporate into our own spaces. One of our favorite trends that we’ve been seeing everywhere? Floating kitchen shelves! These shelves offer just as much storage space as traditional cabinets with the added convenience of being completely open and accessible. In addition to being a convenient choice for many kitchens, we just love the way these open shelves look. Below we’ve selected some of our favorite inspiration shots of floating shelves, although we have to warn you that seeing these may cause you to want replace your cabinets with these shelves instead! One of our favorite uses for open shelves is to section off a separate space in the kitchen for a tea and coffee bar. We love to start our morning with a cup of matcha made to perfection in our Tea-Ceré. 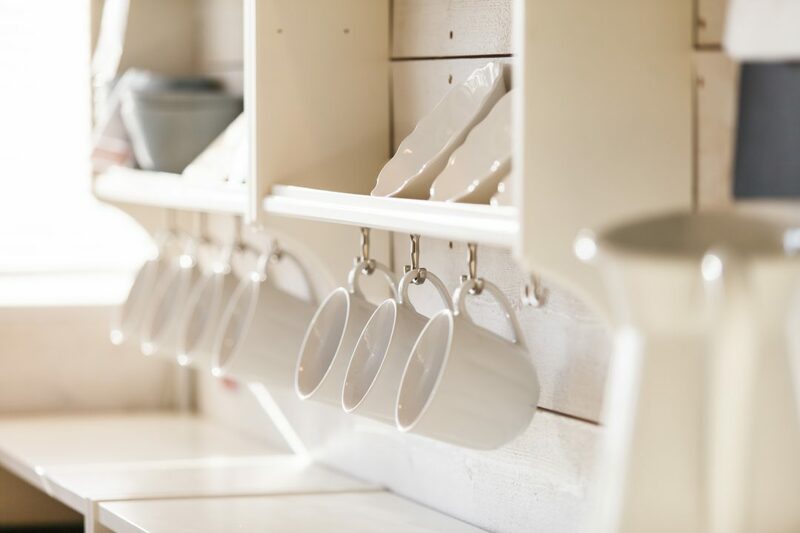 Having a separate section of our kitchens for all our tea and coffee needs is not only super convenient but also adds a café feeling to our homes. 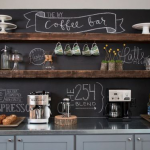 We especially love how the above photo incorporates a chalkboard wall and reclaimed wood shelves into the nook. 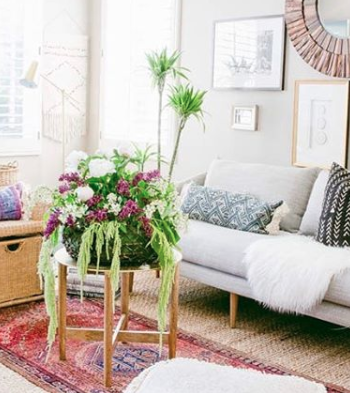 The whole space gives off a cozy feel that makes us want to curl up with a big cup of matcha and a good book! One of the most common complaints about kitchen spaces is that they feel too small or cramped. An easy way to open up a kitchen is to incorporate open floating shelves. 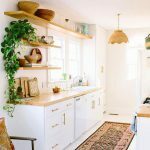 Traditional cabinets can often make a space feel closed off but the openness of these floating shelves allows for even the smallest kitchen space to feel light and airy. Bonus tip, if a kitchen is super small, counter space as well as shelving space is crucial. 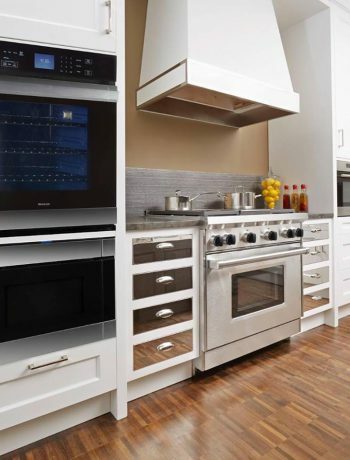 Incorporating Sharp’s Microwave Drawer TM into a small kitchen frees up precious counter space and to provides an overall sleek and modern look. A live edge floating shelf is one of our favorite takes on this trend. The raw edges on these shelves incorporate the original look of the wood into any kitchen space, allowing for an overall natural and organic feel. We especially loved how the above photo incorporates knots from the original wood into the shelves, allowing us to really incorporate the history of the wood into our kitchens. 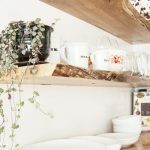 We have a pretty good feeling that this floating kitchen shelf trend isn’t going away anytime soon and we’ll be on the hunt for more fun ways floating shelves are being incorporated into kitchens. Do you have a favorite inspiration photo of floating shelves? Let us know in the comments below!